This month has been pretty busy, with the St Ives September Festival and the Cornwall Ceramics Trail. Both of these events brought more visitors up to the Leach. We also had some Heritage Open Days which involved demos on the kick wheel as well as free tours and have a go sessions on the kick wheel. 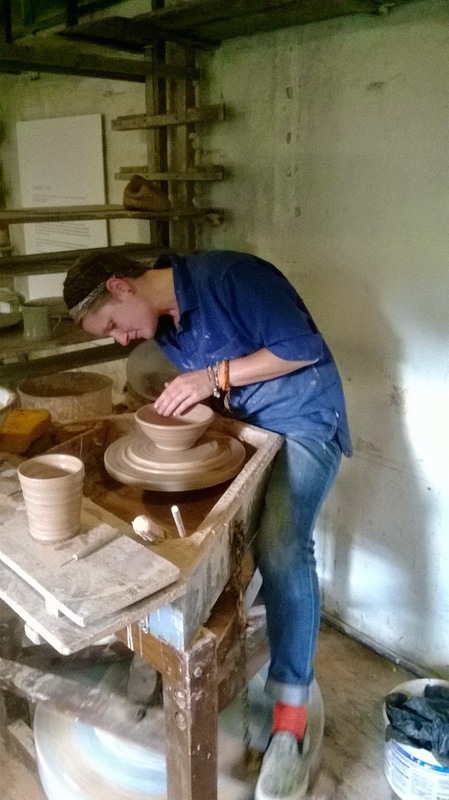 I was lucky enough to have a day throwing in the old pottery, which was a great experience. I have also moved on to throwing some new forms from the standard ware range. This started with small bowls, then medium bowls and plates. 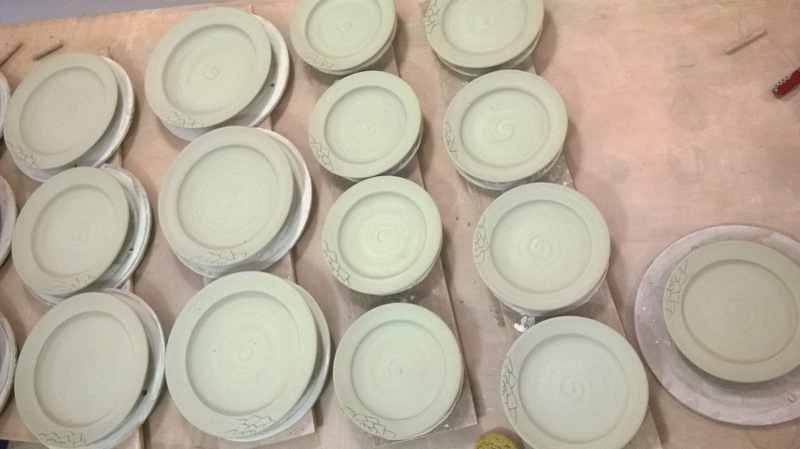 I really enjoyed throwing some different forms and also learning to do a rolled rim on the bowls. 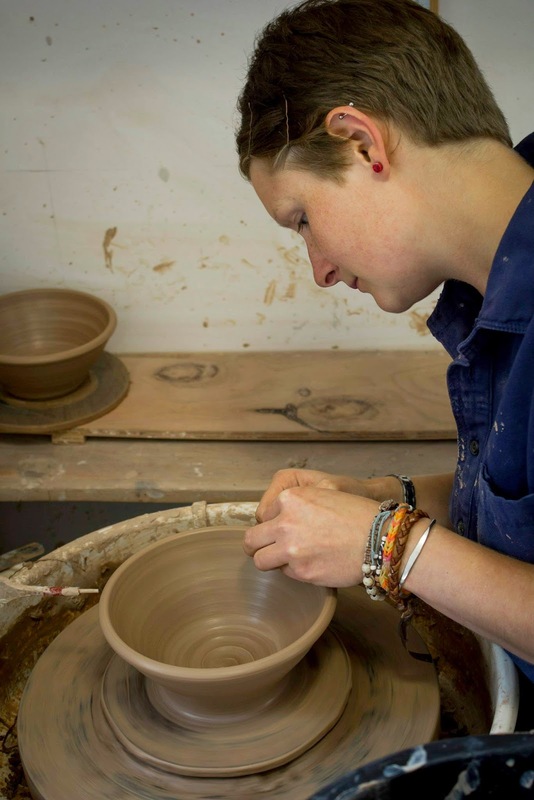 Britta Wengler, one of the production potters in the studio did a kiln opening of her own work as part of the ceramics trail. It is always interesting to see the personal work of colleagues. Philip Leach came to the pottery to make his own work for a few weeks. It is good to see that the Leach family still get involved with the Pottery. Ashley Howard and Risa Ohgi were featured in our gallery this month. They undertook a collaborative project where Ashley threw the pieces and Risa decorated them. The pieces were beautiful and the talk was interesting to see how it all began. My friend Jordan came in to see us working and he took some pictures of us at work. 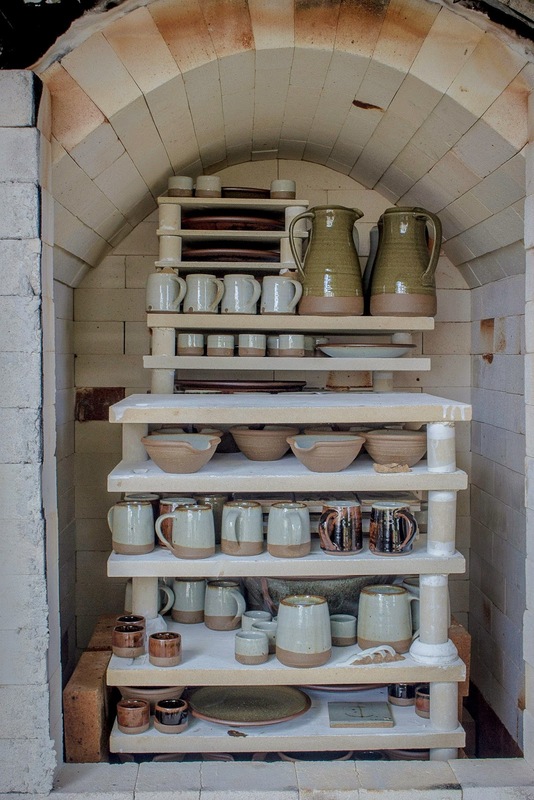 This was the unpacking of one of our kilns containing some pots for SeaSalt and some for our shop at the Leach. The rolling of the rim took a a bit of getting used to, but it makes the rims much stronger and durable, as they are meant for every day use. 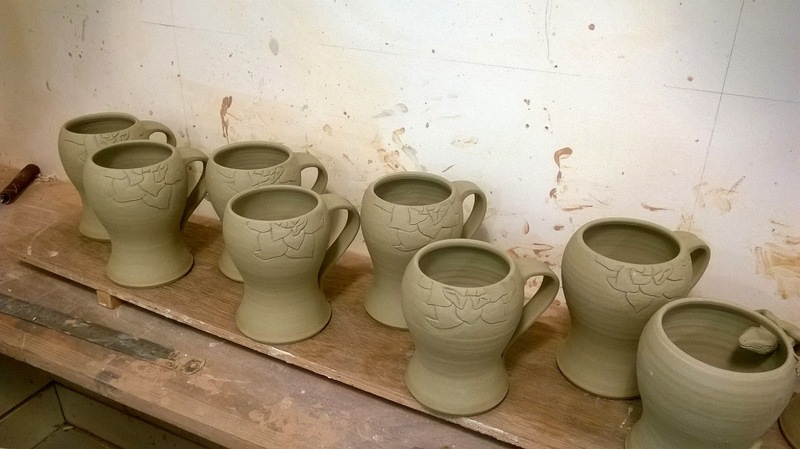 We are working towards another order for SeaSalt, so we are doing lots of firings and making lots of mugs! I have also spent some more time thinking about my own work this month. I have made a batch of plates, as they are something I have always avoided making. Mugs are also something I have been neglecting, as I have made so many during work hours. So I have put in some time developing my own mugs. Now I need to spend some time figuring out my glazes! Which is the exciting part, but also the scary part.